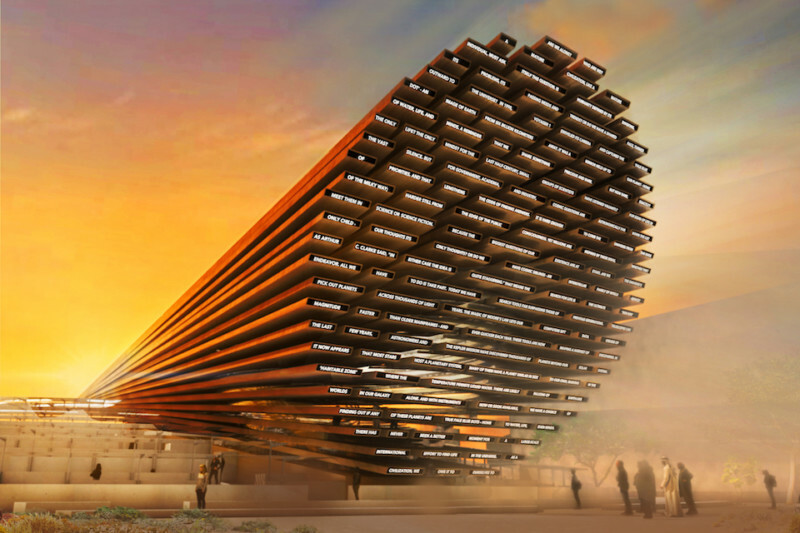 Award-winning British artist Es Devlin OBE is set to design the UK Pavilion at Expo 2020 Dubai. The Pavilion will be the centrepiece of the UK’s presence at the Expo – highlighting UK expertise in artificial intelligence and the space sector. The Expo will be visited by an estimated 25 million people in the 6 months from October 2020 to April 2021. World Expos offer the UK a significant opportunity to communicate directly with millions of people, strengthening British soft power and enhancing the UK’s reputation on a global stage. Expos also offer more tangible benefits – they give the UK a platform to attract investment, grow trade, increase tourism and encourage people to study in the UK. Es Devlin OBE is known for creating stunning large-scale performative sculptures that fuse technology and poetry, including the interactive Fifth Lion sculpture installed in Trafalgar Square. Her dramatic design for the UK Pavilion is an illuminated sculptural message to which each of the Expo’s anticipated 25 million visitors will be invited to contribute. The idea draws directly on one of Stephen Hawking’s final projects, ‘Breakthrough Message’, a global competition that Hawking and his colleagues conceived in 2015 inviting people worldwide to consider what message we would communicate to express ourselves as a planet, should we one day encounter other advanced civilisations in Space. What if the UK Pavilion at Expo 2020 became a place where visitors from all over the world chose to take part in a collective global project that showcases British expertise in AI technologies and poetry while transcending national identities. The quality of design proposals we received for the UK Pavilion were testament to the UK’s world leading creative talent and I’m confident that Es Devlin OBE and the team will help us take advantage of this unique opportunity to showcase the very best of British to a truly global audience. Over 6 months, my international economic department will help the UK connect with more than 25 million Expo visitors – that’s 25 million potential buyers for our products, partners for our firms, tourists for our cities and students for our universities. This announcement follows a competitive tender process which saw a number of leading designers and firms form consortia to bid for the multi-million-pound contract, and we are grateful for their submissions. At Expo 2020 Dubai, our focus on empowering individuals and communities to create opportunities that help shape a better future drives everything we do. 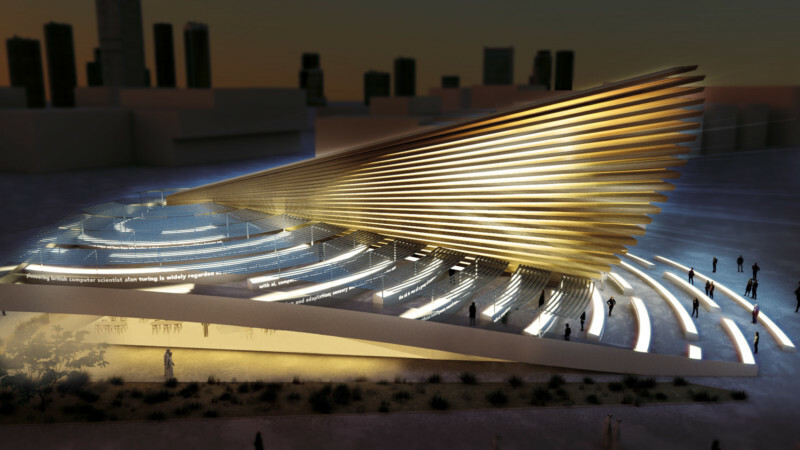 The UK Pavilion will be an intriguing platform for people to learn, have fun and work together to discover innovations and explore new frontiers in areas including space and Artificial Intelligence – echoing Expo 2020’s theme of ‘Connecting Minds, Creating the Future’. We look forward to seeing more compelling pavilion designs and themes revealed by other participating nations as we continue our countdown to Expo 2020. Devlin and Avantgarde will join forces with Manchester-based structural engineers Atelier One and sustainability experts Atelier Ten.